Improving your home’s exterior enhances its value, whether you plan to sell your property or not. If you’re looking for ways to improve your home’s exterior, you’ve come to the right place. 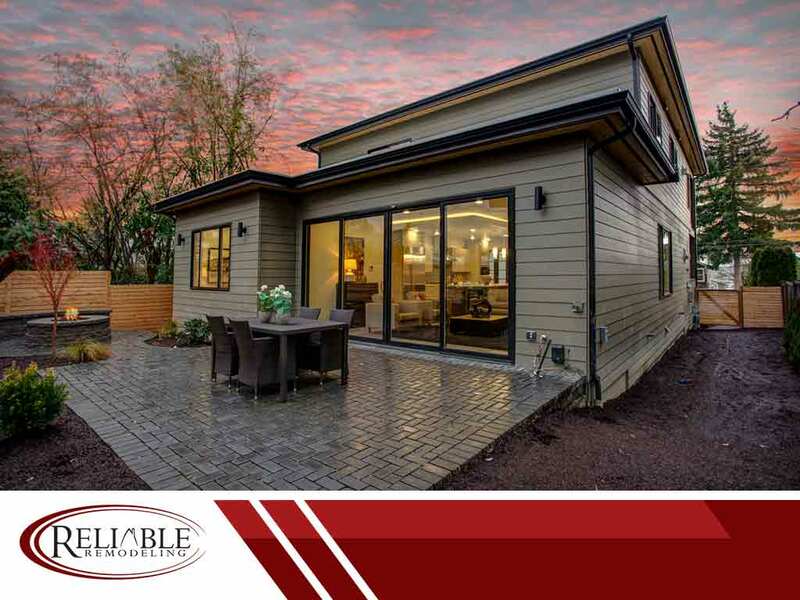 Read on as Reliable Remodeling, your home exterior services expert, gives you some ideas on how you can do that. Although replacing old, damaged siding will be of great help in improving your home’s curb appeal, your exterior needs more than just new siding. Add a fence to your home using wood slats. Consider upgrading your walkways and driveways using stamped concrete pavers. Replace old doors with new ones. Then, add a front porch to make your home look more inviting. Do you know that something as simple as hiring a painting services provider can make your home look amazing? If your home’s paint looks dull or old or is already suffering from dirt and looks dingy, consider repainting it. Just make sure to choose the right colors that go well with your home’s style. Your roof is up there, but how it looks significantly affects your home’s overall appeal. Consider updating your old, damaged roof using newer materials like architectural shingles or by using standing seam metal roofing to give your home a more contemporary look. Again, make sure to choose what best suits the style of your home. Your windows do more than allow light and air to enter your home, especially your kitchen. How your windows look like will either enhance your home’s overall beauty or make it look less appealing. You have a wide range of choices. You can enlarge your windows, reshape them, replace them with bay windows or repaint them to make them look better. If you wish, you can also install shutters that will complement your home’s entire exterior design. When done right, landscaping can do wonders for any home. Well-placed plants such as shrubs can do more than hide imperfections; they also add life and color to the various areas of your property. Just make sure to place tall plants away from your windows so that they won’t prevent air and sunlight from going in. In the end, if you’re looking for help with a kitchen remodel or general exterior services, please dial (205) 988-9194 or fill out our contact form to request a free estimate. We serve multiple areas in Alabama, including Pelham, AL.